Low/Medium Speed There are 5 products. Maxicer 30 CF is a monograde oil for diesel engines of commercial vehicles and petrol engines, formulated with highly-refined mineral bases and additives of high detergent, antiwear, dispersing and anticorrosive properties. 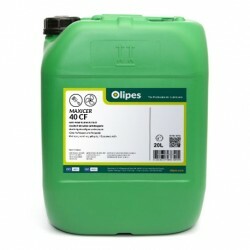 Maxicer 40 CF is a monograde oil for diesel engines of commercial vehicles and petrol engines, formulated with highly-refined mineral bases and additives of high detergent, antiwear, dispersing and anticorrosive properties. Maxicer T30 SAE 30/40 marine oils have been developed to meet the lubrication needs of marine diesel engines and medium speed trunk diesel engines using high sulphur content fuel oil as fuel. Maxicer T40 SAE 30/40 marine oils have been developed to meet the lubrication needs of marine diesel engines and medium speed trunk diesel engines using high sulphur content fuel oil as fuel. Maxicer T50 oils have been developed to meet the lubrication needs of marine diesel engines and medium speed trunk diesel engines using high sulphur residual fuels.